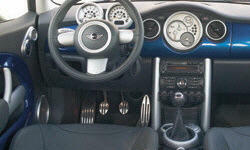 Mini Hardtop Exterior Styling Pros and Cons | Page 1 of 2 | Why Not This Car? The top reason to buy any Mini rather than something else is that Minis look special, while alternatives generally look much like the cars everyone else buys. Off the charts in fun to drive! Unique, and eye-catching, retro and modern. Abundant color choices, and contrasting roof and graphic treatments as well. Unique clean styling that does not change from year to year like a toyota. 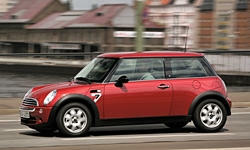 Its a Mini Cooper! Everyone waves to you while you are driving it. I like a unique car. Characterful without being cartoonish, the exterior has only grown on me since I bought it. Handsom but subtle curves and creases. Looks really sharp, even though I did not drive an original Mini. It is a very sporty looking hatchback with a very wide stance and just plain looks like a car should look.